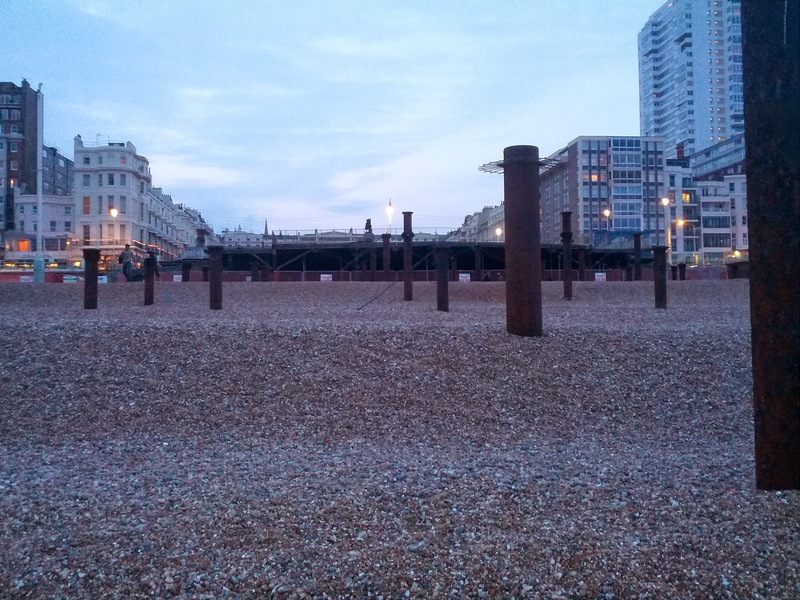 The West Pier trust continues to oversee the demolition of the West Pier with the removal of the pillars on the beach. As the Trust’s web pages point out, their aims no longer include any form of restoration of the pier. Instead their focus is “to preserve and enhance for the public benefit the area comprising the Pier” – which, for them, involves building the i360. The idea of a new pier is roundly rejected as impossible. 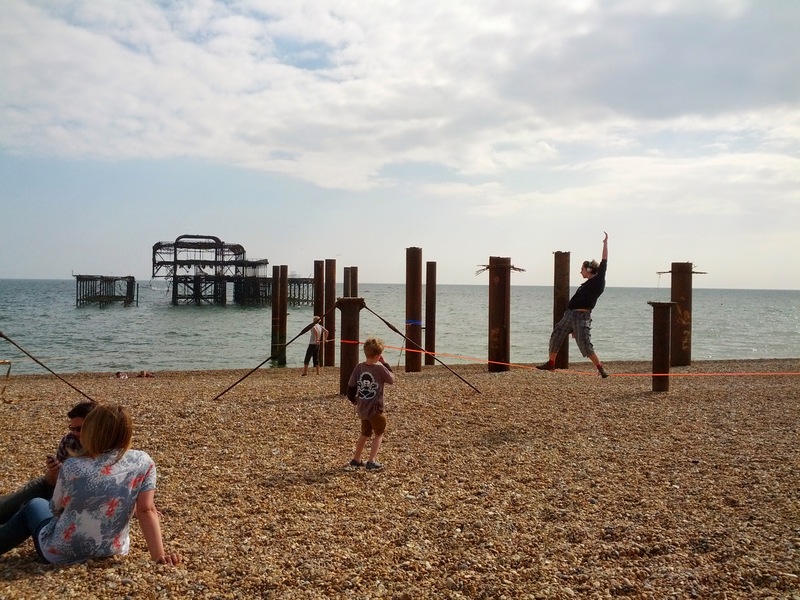 The West Pier Trust is now, effectively, working for the area’s redevelopment, pushing for an expensive and unloved attraction in place of the pier. 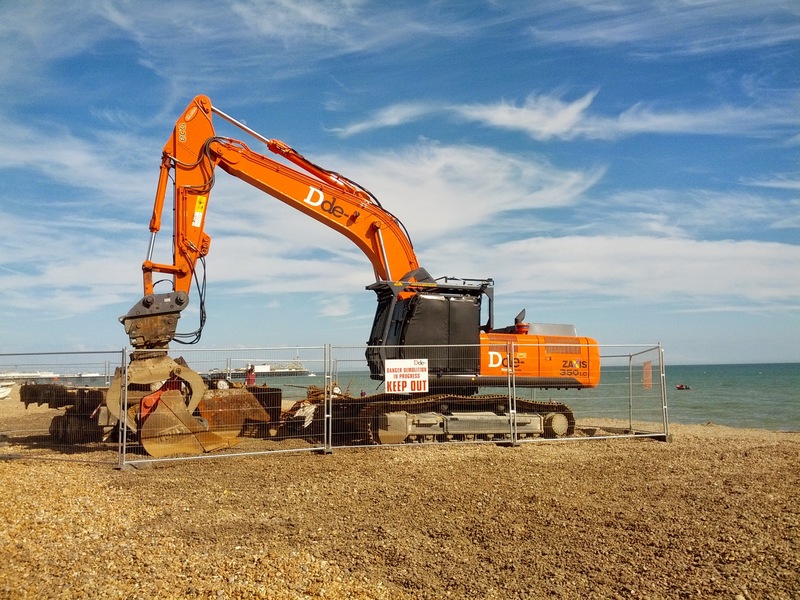 This latest act of demolition was announced in the Argus on Friday 30th May, with the work due to start on the Monday – leaving no chance for people to respond or object. 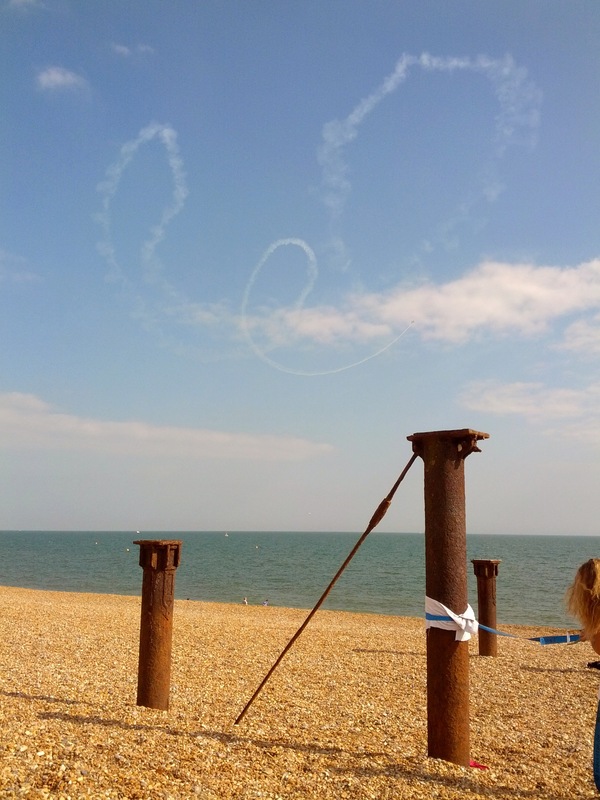 The columns on the beach are to be “removed, stored and reused as part of a landscaping project in conjunction with the area’s redevelopment alongside the i360”. For me, the saddest thing about this is that the columns on the beach were loved just as they were. In particular, they were used to practise slack-lining. It was wonderful to sit in the sun and watch. We seem to have major problems with Brighton seafront, with a whole section of raised promenade near the Concorde inaccessible and falling down. The reconstruction of the old Concorde club is a disaster, with most of the buildings left empty for years. And now, an aspect of the seafront that people loved and used is being removed. Sometimes I think the regeneration takes no account of how people actually enjoy and use the seafront.